I woke up this morning with a start, wondering what I am late for and realized that I actually have today off! Summer has been flying by this year. I have no idea where the days have gone... one seems to tumble into the next until weeks have passed. I am looking forward to a few days off in August spent upstate and in the company of good friends. I have had no time for blogging this past month, life and work have been busy and the heat wave somewhat unbearable in our non air-conditioned loft. While busy is a good... I have reached the point of a much-needed break. I have had to reconcile that I am not going to be able to get to all the ideas, shoots and recipes I have had in mind for the summer season. I will do what I can and put some things off to next year. Sometimes you just have to take a moment. Jam, however, is definitely on the agenda. It looks as though the blackberries upstate are about to burst, hundreds of them dripping from tangled thorny bramble. They, unlike me, seemed to have thrived in this heat! 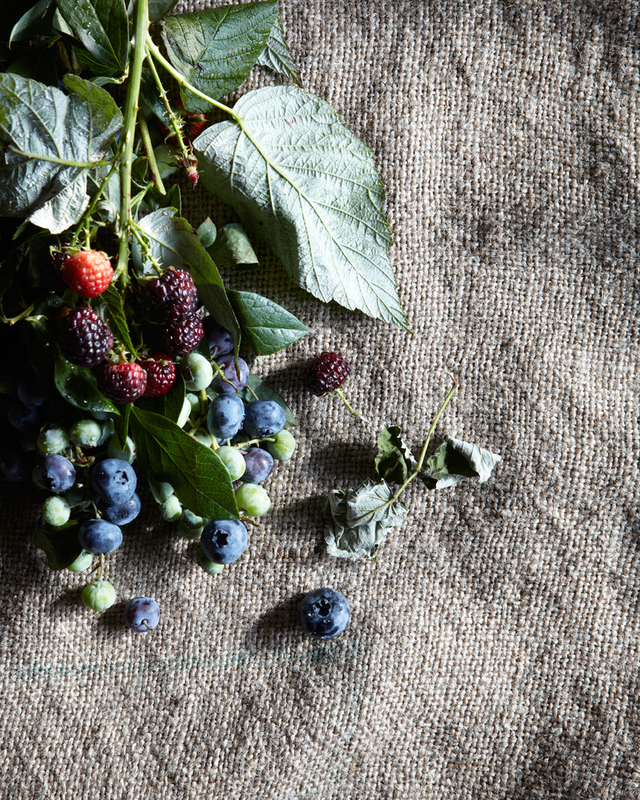 The black raspberries and blueberries in the photos below came from Flying Fox at The New Amsterdam Market. When I am in town on a Sunday it is my very favorite place to go.